a world fellowship of business and professional persons united in the ideal of service. 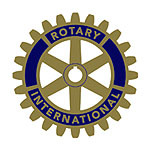 The Lufkin Rotary of Lufkin, Texas was founded 30 years after the beginning of Rotary itself. Ballroom located in the Heart of Lufkin, Texas in Angelina County.